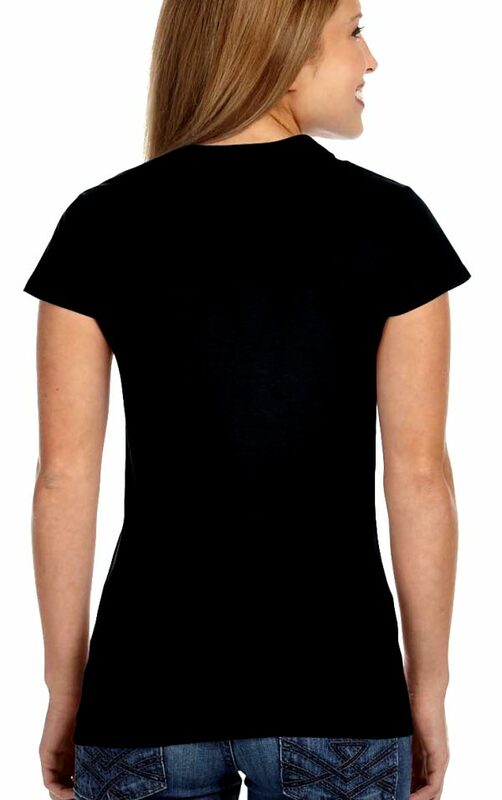 This ladies high quality brand name black T-shirt is very colorful and unique! It is a ladies thick and soft 100% ring spun cotton and preshrunk Crew-neck or V-neck style t-shirt, your choice. 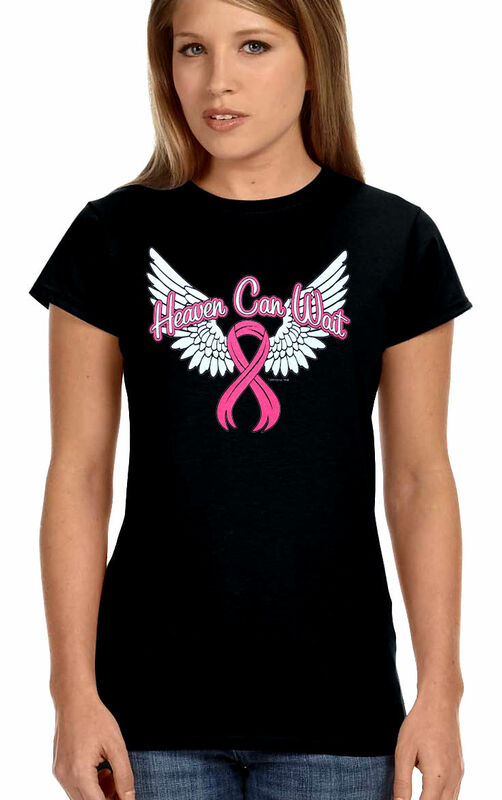 It has a great looking design that features wings with a pink ribbon for breast cancer awareness and the words “Heaven Can Wait.” It is very colorful and high quality, will not peel or wash off. So choose your size and get one or several now, free shipping in the USA!